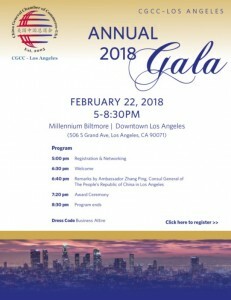 CGCC-Los Angeles Annual Gala will be held on Feb 22 in Downtown Los Angeles. Welcome to join us! CGCC-Los Angeles wishes you Happy Chinese New Year!